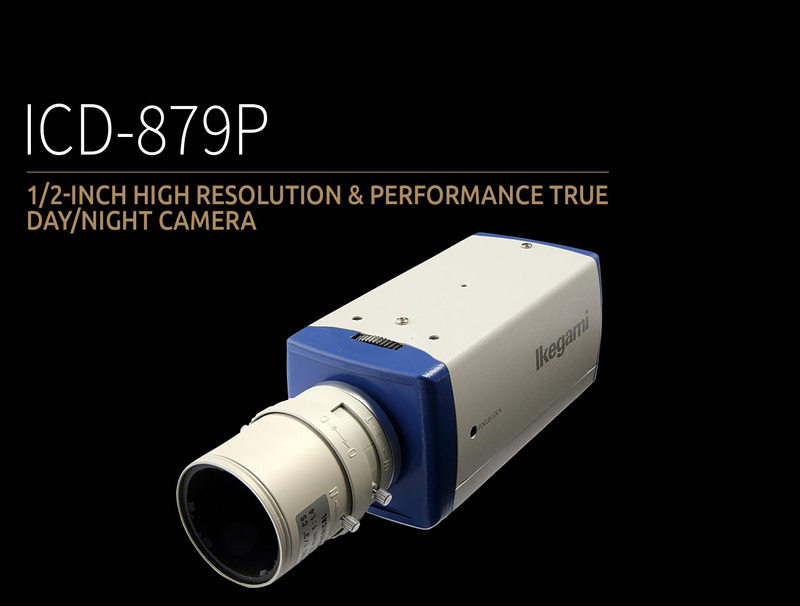 Well designed moving IR cut filter system, inter-connected with the Automatic Gain Control system makes the ICD-879 series the ideal Day and Night TV camera, capable of providing a high quality crisp picture reproduction with 570TVL horizontal resolution under ultra low light conditions down to an amazing 0.011lux minimum scene illumination performance. The ICD-879 series comes with an 8 zone privacy masking function, managed by the rear control panel locally, or remotely via I-LAN over RS-485 link. Each zone has a minimum 8 pixel square sized area. This provides pin-point accuracy to cover sensitive areas that need to remain unseen. All these are controllable, either locally via the camera rear panel switch array, or remotely via I-LAN software over RS-485 link. This makes the ICD-879 series the ideal tool for integrated system applications were high quality visual information management is required. Improved interline transfer CCD performance allows a much wider sensitivity from the visible to the near infra-red spectrums to provide better picture reproduction under low light conditions. The improved DSP, digital signal processing circuit permits good Signal-to-Noise ratio with good performance of -126dB(ICD-879P/879) vertical pixel overload protection to suppress the vertical smear that occurs with intense strong light sources. As the ICD-879P/879 is equipped with an electronic sensitivity control function of up to 32 times, it covers the scene which requires high sensitivity.